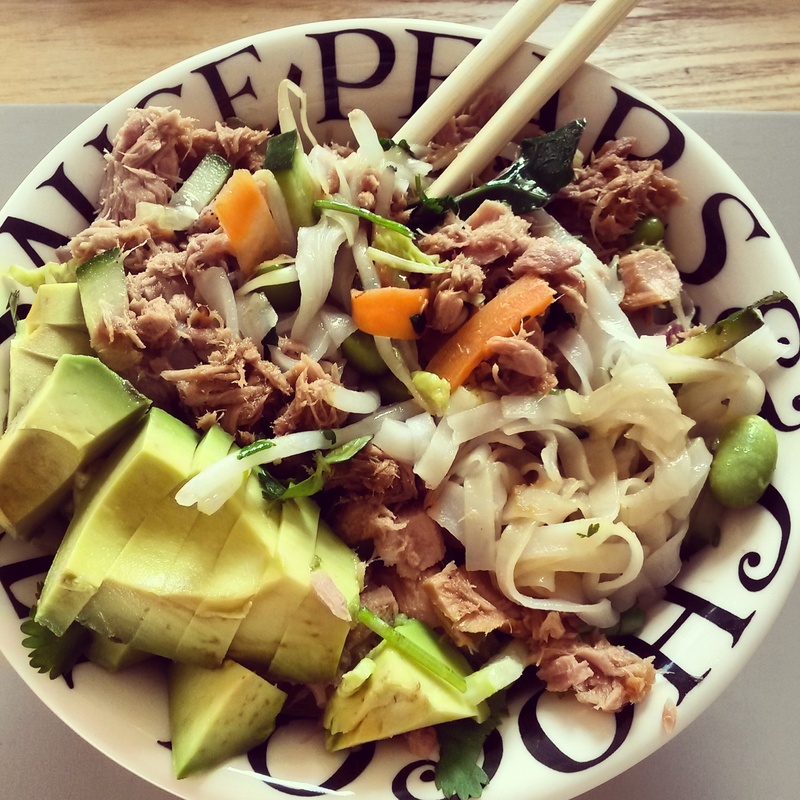 This delicious recipe of Sticky Tuna with Rice Noodles, Stir Fry Vegetables & Avocado makes for a really quick and easy lunch. It’s so simple – you can make this healthy bowl of goodness in under 10 minutes. Prepare it the night before and enjoy it cold at your desk. No fuss, just an amazing lunch to keep you going. Cook the rice noodles with a handful of soya beans – this will only take about 2 minutes. Stir fry a handful of mixed vegetables & chopped spring onion for 2-3 minutes. Mix half the tin of tuna with a good dash of toasted sesame seed oil, soy and honey and a little salt & pepper. Add it all to a bowl or tupperware topped with fresh coriander and sliced avocado. I always add and an extra dash of soy sauce at the end. TIP: Prepare the avocado slices right before eating to keep them from turning brown. If you like a bit of spice, add some freshly chopped chillies with the coriander.